Everybody is unique. With over 6 billion people on this planet, no two people are exactly the same. Two people may be identical twins, but even identical twins have unique and individual experiences that makes them different from one another. We can categorize groups of people by commonalities, such as race, ethnicity, and income, but everyone within these groups will be different as well. Some people are rich and some are poor. Some people are optimists and some are pessimists. Some people equate money with love. Let’s imagine this person lost the financial ability to buy expensive gifts or to give away large amounts of money. Would the recipient of this person's money or gifts love this person any less? Divorced parents may play the money game, by showering their children with gifts as a token to show their love to their children. Jeremy and Angie were recently divorced. When they were married, Jeremy was a CEO for a bank and Angie was a stay at home mother. Jeremy worked long hours each weekday and sometimes did not get home until his children were already asleep. In the morning, if Jeremy didn’t have to leave early for a business meeting, he would talk with his children for a few minutes at the breakfast table. On the weekends, Jeremy would go golfing with his business partners. After the divorce, Angie found a modest job to help make ends meet while Jeremy continued working for the bank. Although Angie received child support checks every month, Jeremy was significantly more financially stable than Angie. Jeremy has weekend custody of his son and daughter. Ironically, Jeremy lives for the moment and impulsively spends most of his income instead of saving for the future. The kids look forward to weekend visitations with their father, because they know they will be showered with expensive gifts. One month ago, each child received a 53” plasma television for their bedrooms. Three weeks ago, Jeremy bought them their own customized 4 wheelers. Jeremy continued to golf with his business partners each weekend and hired a babysitter to watch his children. Meanwhile, Angie cannot afford to buy the same luxuries for her children. She has a nice house and her children are well taken care of, but she is less financially stable than Jeremy. Angie continued enforcing their house rules and gave her children daily and weekly chores in exchange for a small allowance. There are consequences for the children if a child does not obey the house rules or complete their chores. She also is the person responsible for her children’s education and teaching her children responsibility through helping out with household chores. When the children go to Jeremy’s house, they are not responsible for doing any chores and have not talked about establishing house rules because Dad is rarely home and they’re having too much fun being showered with gifts. What kind of impressions do the children have of their parents? 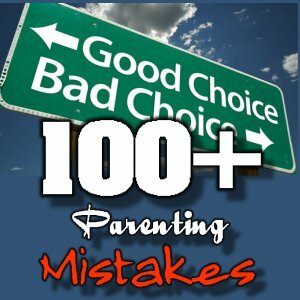 There are quite a few unseen problems in this example that are currently affecting or may eventually strain the relationship between Angie and her children and the children's need for structure and responsibility when they're with their father. Today, I’m addressing the issue showering a child with gifts. Let’s suppose Jeremy lost his job two weeks ago and is having a hard time finding another job. Now, he can’t afford to buy his children the expensive gifts they've become accustomed to receiving. Let's play out the rest of this story. Jeremy had to sell some of the gifts he bought for his children because money was becoming pretty tight. The children were visibly upset with their father after realizing their new 4 wheelers were sold. Jeremy also sold most of his own personal possessions, but now may have to sell the kids plasma televisions if he can’t find another job soon. How will the kids feel now? 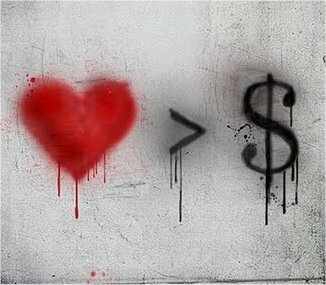 Money cannot buy you love. The children barely knew their father when their parents were together. Jeremy continued playing golf instead of spending time with his children and impulsively spent money instead of saving for the future. The children were spoiled by Jeremy, but after the money disappeared, what was left in their relationship? There is a psychological game being played at the children’s expense. Jeremy equated money with love. Love is a feeling and an emotion that cannot be bought with money. Children who live in the poorest of neighborhoods will still love their parents who cannot afford to buy their children plasma televisions and 4 wheelers. Thought for the day: Love is a feeling and an emotion that cannot be bought with money.